In a surprising turn of events, it turns out that while the Pandora is reaching the end of its life (as the number of units to be produced is running out), there are still interesting hardware/design related projects out there. Following the recent release of source files for the case design, someone has shown interest in developing an aluminium case for the Pandora. Excellent! Of course, this is going to be small quantity only, so don’t expect anything cheap. 99 euros for the aluminium casing, and 30 euros if you want DragonBox to do the switch of cases for you (it’s probably HIGHLY recommended, following my failure to do a change of LCD cable on my own… but hey, I’m probably awkward with these kind of things in the first place). It was announced a couple of days ago on the Pandora boards, by ED himself, and while the case maker needs at least 100 orders to make it happen, several boards members have signified their interest. I would not be surprised if it happens. The cases will start being produced in about 4 weeks, provided the orders reach the minimum amount required. There’s several reasons why such a case makes sense. The original casing of the Pandora was OK at best, not very aesthetic nor very robust. I have had several Pandoras’ plastic cracks develop over time, under normal usage, and that’s not really supposed to happen if the case is properly designed. Blame it on the original creator of the design, whoever that is, but I certainly hope this aspect will be resolved as the community moves to the Pyra. In the meantime, an aluminium casing for the Pandora is a great idea, to test on small quantities how to works, see if it looks great, and potentially propose this option as well for the Pyra later on. I’m still considering whether or not I should purchase such a case – I’m certainly interested, concept-wise, but I’d like to see what it looks like before investing in it. In terms of colors, you’ll get Pearl Mouse Grey, or Jet Black. An example of Pearl Mouse Grey color. The only concern with the change of case may be with the Wifi reception. It’s already sub-par currently, and it may get worse with a metal casing. We’ll see how the wifi is affected once the first cases are available. I’ll drop a note again once the pre-order process starts. Any news on how to place a preorder? Line Number 2, Column 2: <rss version="2.0"
Same with Google Chrome and FeedEx-RSS-Reader on my Android-phone. Would you mind to have a look at it? There’s no news right now on how to place the pre-order, but once there is I’ll probably post some news or update the post. About the RSS feed, yeah, I am aware of the issue (linked to wordpress adding a blank line at the beginning of the RSS feed, for reasons unknown…) I still don’t have a clear way to fix it. It’s also bothering me. 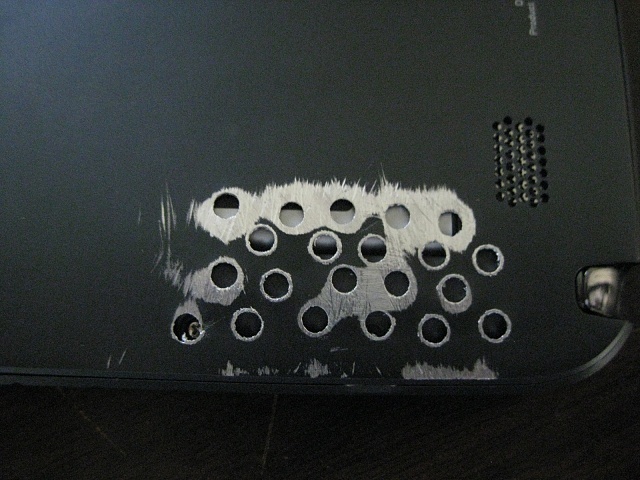 Will it be possible to get a case with pre-drilled holes like this one?